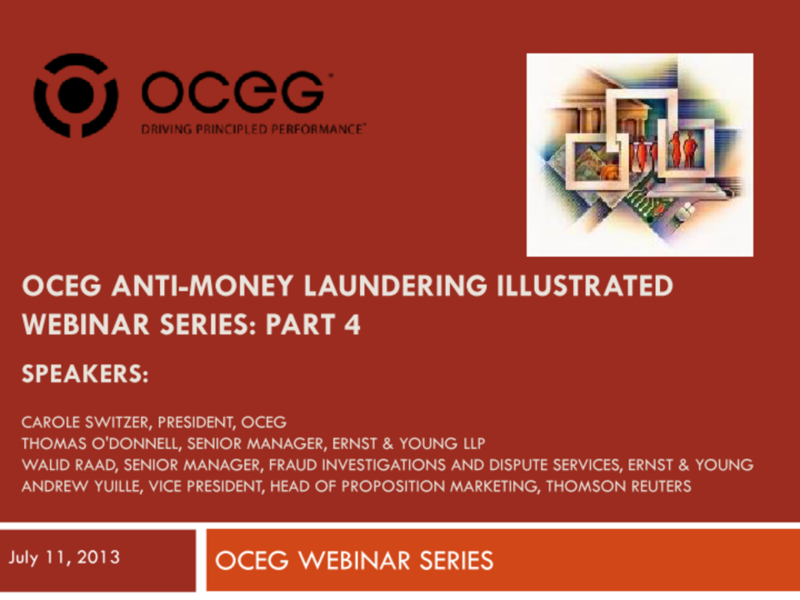 This is the fourth of a four part webinar series on effective anti-money laundering programs following the OCEG AML Illustrated Series. In this session, we will address the steps taken during an investigation of suspicious activity and filing of a Suspicious Activity Report (SAR). This series is sponsored by Ernst & Young, Thomson Reuters, KYC360.com and Stephen Platt & Associates. We have emailed instructions to access Anti-Money Laundering Part 4 Slide Deck to . Make sure the email arrives in your inbox: either add "support@oceg.org" as a safe sender to your email platform, or if you use Gmail, drag our email into your Primary tab.